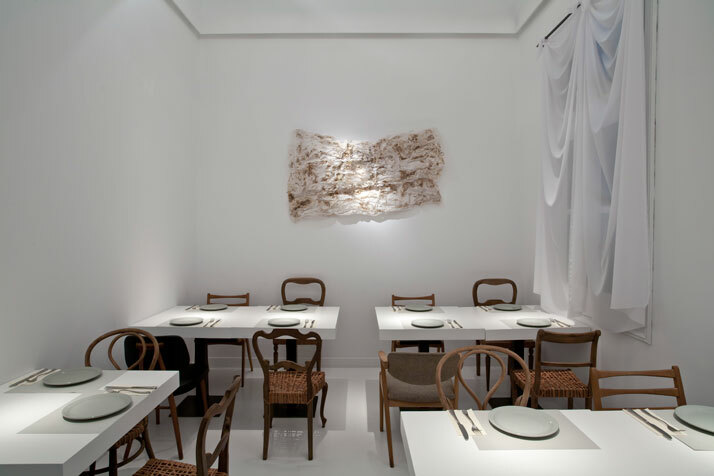 The owner of Il Buco Restaurant (Sarri 18 & Sahtouri, Psirri-Athens, GREECE) Lucas Papaspirou selected Athens-based design studios Dionisis+Kirki of Workshop and SOTOVIKIS + B for the interior design of his Italian restaurant. 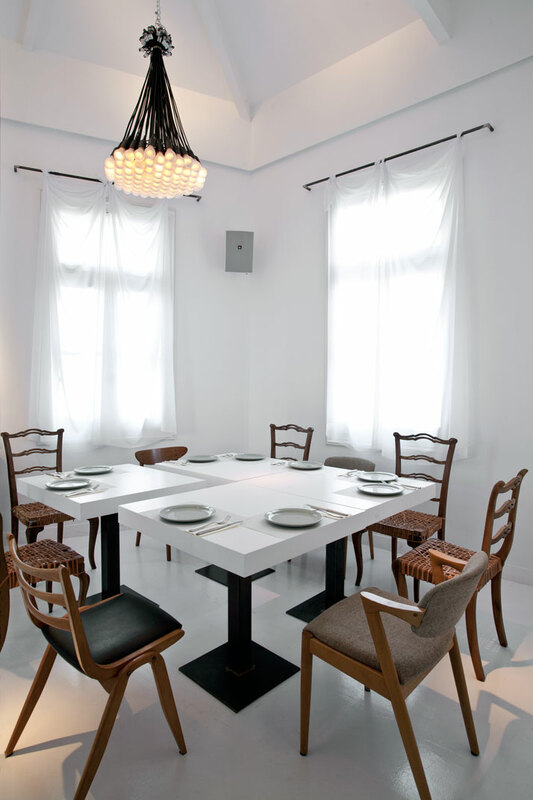 Located in Psirri, which is Athens’s up-and-coming district sometimes described as the Soho of Athens, on the third floor of a neoclassical building with stunning views of the Acropolis. 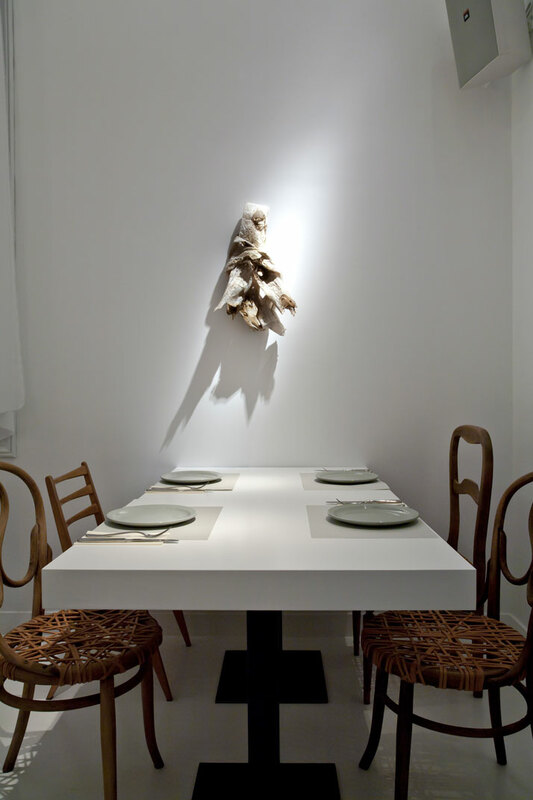 Il Buco is an Italian restaurant which doesn’t remind you of a restaurant at all; The design studio has accomplished to create a modern, homely dining room feel with ample of space between the tables. Enjoy the interior of Il Buco which looks like as if you and your guests are the only ones there in a unique homely environment! Restaurants, taverns, bars, nightclubs and theaters are packed in the district of Psirri, in the heart of Athens, but surely one can endure the competition with such an interior design! 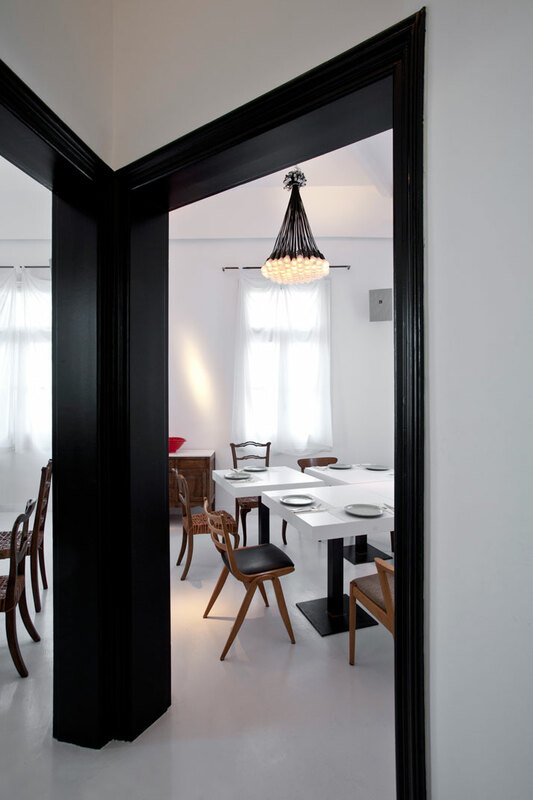 Although there is not much complexity to it, what makes it appealing is its simple, modern design where it seems as if a magic wand has united the black simplicity with the diminished maximalism of old Athens in this neoclassical building in which Il Buco is located in. The restaurant is clustered around the cocktail bar which has been programmed in the center of the space. 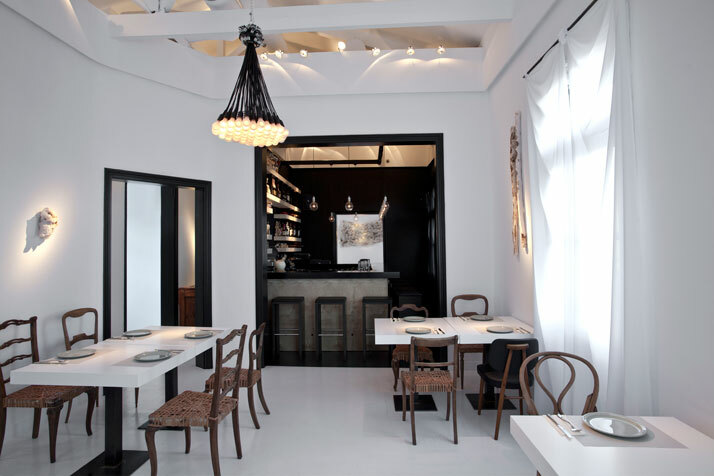 The cocktail bar operates as a small deli, and has been painted black with plywood shelves that not only create a link between the two countries (Greece- Italy), but also focus on the different moods of the space. The cocktail bar maintains the homogeneity, creating a very intimate-than-minimal setting. 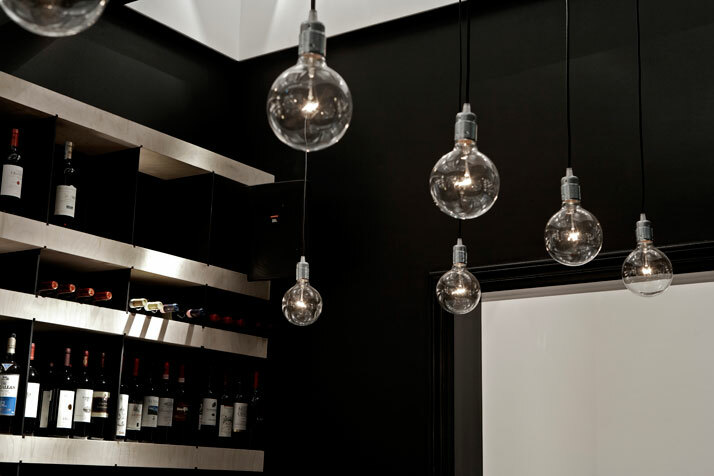 The three spaces which are clustered around the cocktail bar maintain the minimalist appeal through all-white walls, and black fixtures and trimmings. 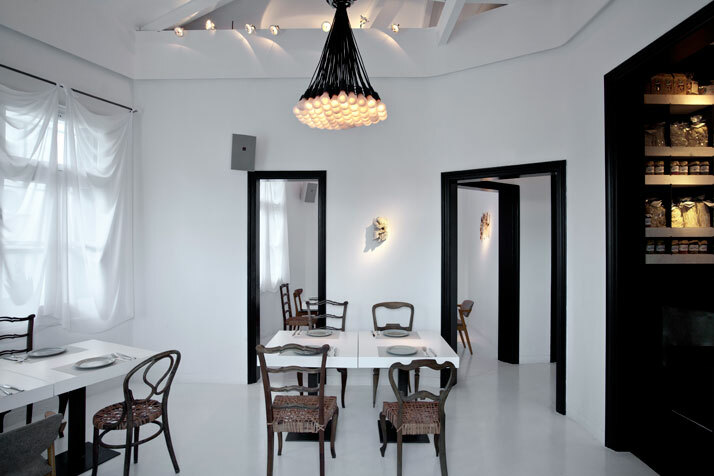 With low ambient light of droog 85 by Rody Graumans, lamps have been used to light up the space and create an opulent chandelier, where ‘less and more’ are united in a single product. 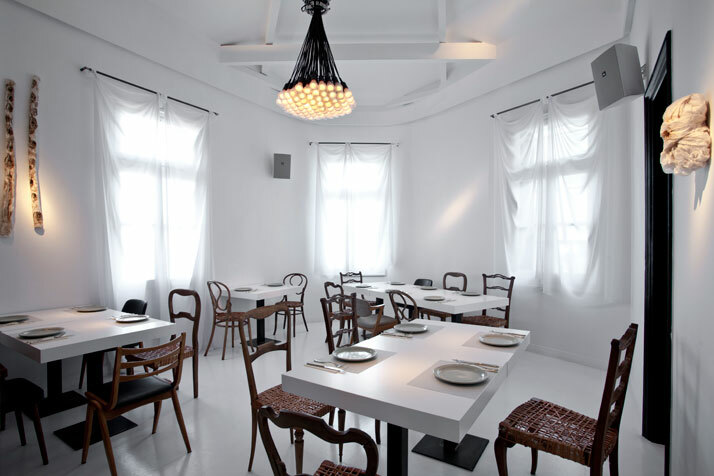 The remaining spaces of the restaurant are very bright due to the all-white painted walls. The white tables with the black iron cast table legs have been mingled with old-wooden-frame chairs which were purchased from an antique shop in the area of Psirri. This simple, yet successful addition of mix-and-match leaves the visitor with a nostalgic feel. The wooden-frame-chairs from a past era have been treated accordingly and in many cases new seats with woven strips of leather or new upholstery were added. Furthermore, an antique sideboard with a marble top ‘flirts’ with the mix-matched antique chairs and is complemented by Red Revisited of droog. Red Revisited of droog is a “Medieval pottery from the Dutch town of Bergen op Zoom has been brought into the modern times by being cast in shiny red plastic. The bright red of Red Revisited replaces the clay red of the originals; the imperfections of the handmade earthenware have been included.” All this whimsical design is topped off with art works of Dionisis Sotovikis, who has used tracing paper, water and fire to create these art pieces which impressively hang off the walls.